Lily Li is a civil litigator with experience in intellectual property litigation, business disputes, and employment matters. Her range of experience includes cases involving patent infringement, unfair competition, antitrust, wrongful termination, harassment, and discrimination claims. 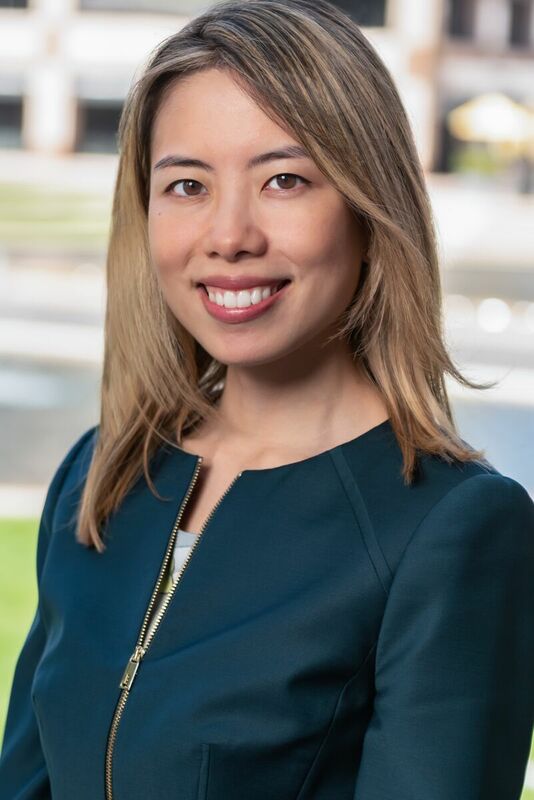 In addition to representing clients in litigation, Lily has advised clients on data privacy and protection, website terms and conditions, non-compete and assignment contracts, and other commercial and intellectual property matters. American Privacy Laws in a Global Context: Predictions for 2018, May 2018, Orange County Lawyer Magazine (Vol.60 No. 5). Chatbot Contracts: Enforcing TOS Agreements in Computer-Generated Conversations, March 2017, Association of Business Trial Lawyers – Orange County (Spring 2017 ABTL Report). Help! What Are My (Immediate) Defenses to a Federal Trade Secret Claim?, September 2016, Orange County Lawyer Magazine (Vol.59 No. 9). RFAs: The Underutilized Strategy for Recovering Attorney’s Fees, December 2015, Orange County Lawyer Magazine (Vol.57 No. 1). Robot Price Wars: Minimum Advertised Price (“MAP”) Policies and the Colgate Doctrine in the Era of Smart Web Crawlers, Fall 2015, Federal Bar Association/ Orange County Chapter Newsletter. Co-author, How Hidden IP Assets Hurt The Entire Patent Community. November 2012, IP360.COM. Patents compete for priority in the remote-phosphor LED technology space. July/Aug 2012 Issue, LEDS MAGAZINE. Quoted in Biotech’s wellspring: a survey of the health of the private sector. May 2012, NATURE BIOTECHNOLOGY (online edition). IP Strategy and Considerations for Start-ups: Q&A with IP Checkups IPfolio.com blog. Hot Topics in Data Privacy: A Panel Discussion on Privacy, Security, and Risk Management, Orange County Bar Association’s IP & Technology section and Mommy Esquire Committee, OCBA Headquarters, July 16, 2018, Newport Beach, CA. Keeping Up with Privacy Laws for Your Services and Website, The Gen Why Lawyer Podcast, July 2, 2018, Irvine, CA. GDPR and State Privacy Laws, KUCI 88.9 FM, Privacy Piracy Radio, June 25, 2018, Irvine, CA. FLSA Wage Claims are on the Rise! How to Prevent and Defend Against Unpaid Wage Claims, Orange County Paralegal Association, 30th Annual Education Conference, September 17, 2016, Hilton, Costa Mesa, CA. Patents and the Consultant/ Entrepreneur, IEEE Orange County Consultants Network, June 22, 2013, California State University, Fullerton, CA.